Enjoy residence living with a difference! Live on or near campus in one of 21 individual properties. Properties range from 4-person flats to a 22-person detached house. 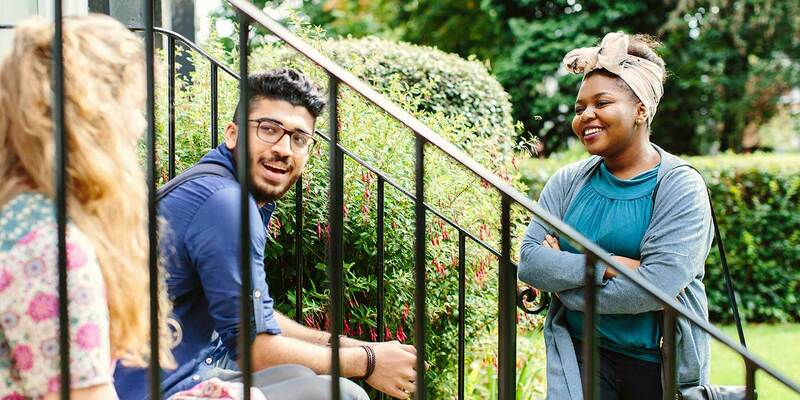 Most have shared bathroom facilities and some are for postgraduates only. Clarendon Place, Clarendon Road, Lyddon Terrace and Springfield Mount are red-brick terraced and detached properties right on campus and minutes from the students’ union. The city centre is 15 minutes’ walk in one direction and Hyde Park Corner in the other. The restaurants, cinemas, bars and shops of Headingley are only a short bus ride away too. All rooms have double beds, except rooms 5 and 8 which have single beds. You'll share 3 toilets, 3 showers , 3 kitchens including 1 washer/dryer. Other (facilities) Small garden, on-street parking at the front of the house. 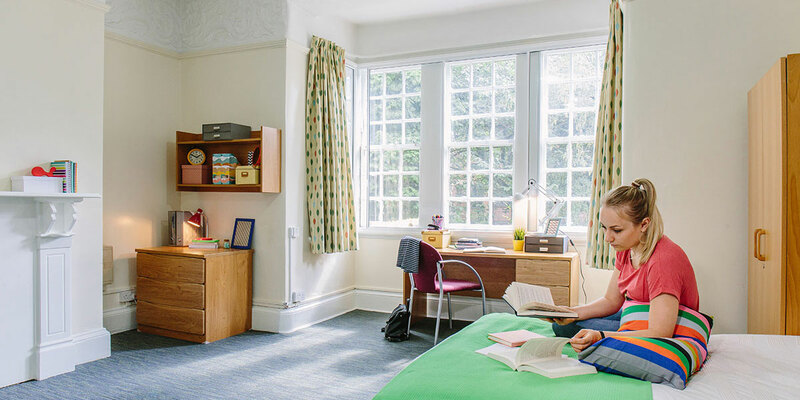 Ground floor rooms and facilities are accessible for disabled students. All rooms have double beds, except rooms 2.1 and 3.3 which have single beds. You'll share 3 toilets, 3 showers, 2 kitchens including 1 washer/dryer. All rooms have double beds, except room 3 and room 6 which have single beds. All rooms have 4 foot double beds, except rooms 1.1, 1.5, 2.2 and 2.4 which have double beds and room 2.3 which has a single bed. You'll share 6 toilets, 6 showers (two on every floor), 3 kitchens. Other (facilities) Small garden, wheelchair access at the front of the property. Rooms 3.1, 3.3, 3.4 and 4.4 have 4 foot double beds, rooms 4.1 and 4.3 have double beds and rooms 3.2 and 4.2 have single beds. You'll share 2 toilets in each flat, 2 showers in each flat, 1 kitchen in each flat with washer/dryer. Rooms split between 2 flats. Rooms 3.1, 3.3, 3.4, 4.1 and 4.4 have 4 foot double beds. 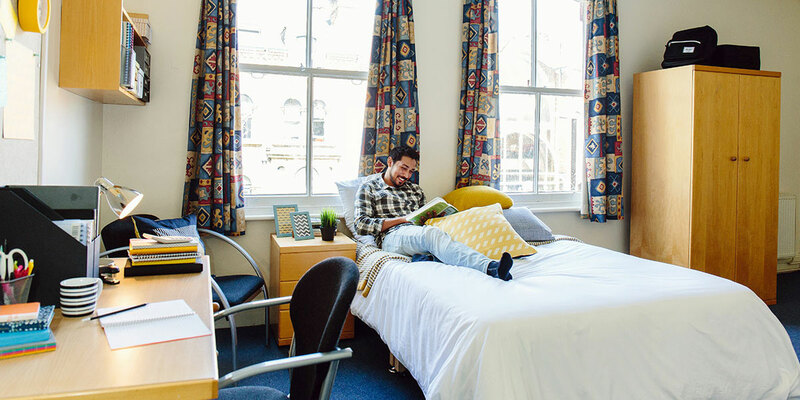 Rooms 3.2 and 4.2 have single beds. Room 4.3 has a double bed. All rooms have a 4 foot double bed. All rooms have 4 foot double beds, except room 2.5 which has a single bed. You'll share 2 toilets in each flat, 2 showers in each flat, 1 kitchen with washer/dryer. Other (facilities) Large garden at the front of the house. 7 rooms have single beds and 9 have double beds (rooms 5, 6, 7, 8, 10, 11, 13, 14 and 15). You'll share 6 toilets, 5 showers, 2 kitchens with washer/dryer. Other (facilities) Small garden at the front of the house. All rooms have 4 foot double beds, except rooms 2.1, 2.6 and 3.6 which have single beds. You'll share 2 toilets in each flat, 2 showers in each flat, 1 kitchen with washer/dryer in each flat. All rooms have single beds, except room 03 which has a double bed. You'll share 3 toilets, 2 showers, 1 kitchen in the basement. There are 10 rooms with single beds and 6 rooms with double beds (rooms 1.1, 1.2, 2.1, 2.2, 2.4 and 3.1). You'll share 4 toilets, 4 showers, 3 kitchens, 2 living rooms, 1 washer/dryer. Other (facilities) 1 hand wash basin per room. Small garden at the front of the house. All rooms have double beds, except room 5 which has a single bed. You'll share 2 toilets, 2 showers, 2 kitchens, including 1 washer/dryer. You'll share 3 toilets, 2 showers, 2 kitchens including 1 washer/dryer. 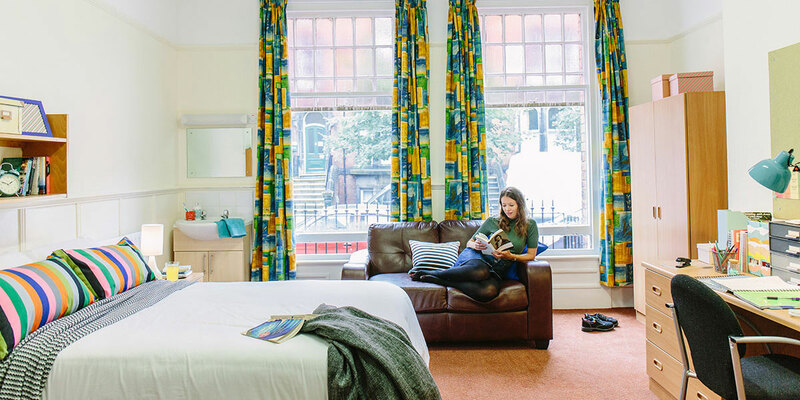 North Hill House is a stunning grade II listed building halfway between the University campus and Headingley. 11 single occupancy bedrooms and 1 double room ideal for a couple. All rooms are en-suite. 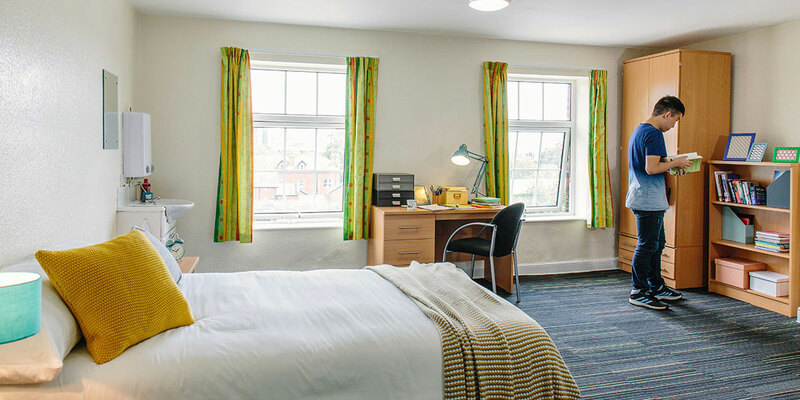 All rooms have single beds, except rooms 4, 6, 7, 11 and 12 which have double beds. You'll share 1 kitchen with washer/dryer, lounge. 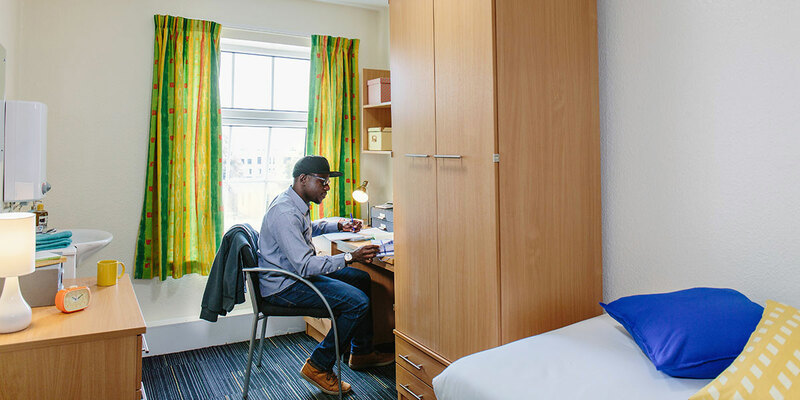 The University has tested samples of Aluminium Composite Material (ACM) cladding where it has been used on our residential buildings and we can advise you that no ACM cladding has been used in the construction of our smaller residences.